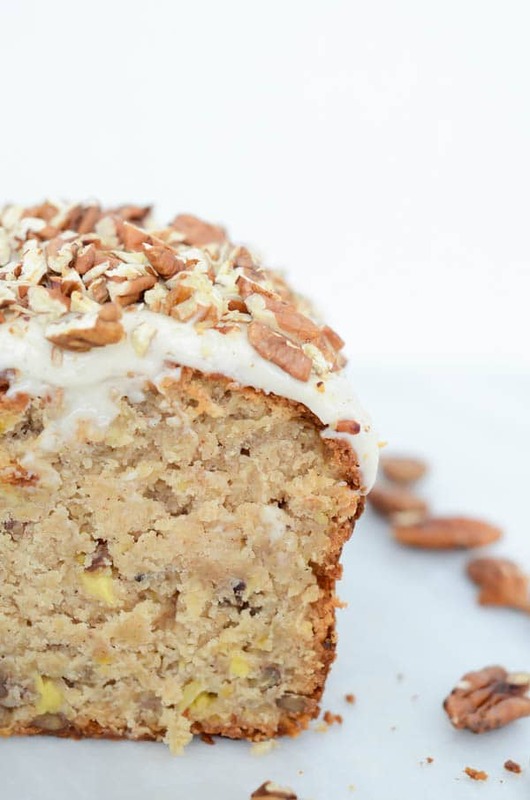 Spinning the classic, Southern cake comprised of pineapple, banana, pecans and spices into a bread that’s perfectly acceptable to enjoy for breakfast. 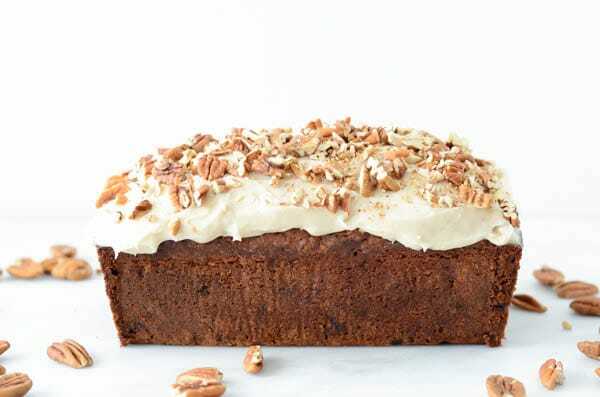 Who here has heard of Hummingbird Cake? If you have, I hope you are as enlightened as I was when I learned what I am about to tell you. If you haven’t, prepare to have your mind-blown. You see, I’ve known about Hummingbird Cake for quite a while now (I’ve never been one to shy away from overtly claiming my love of carbs and all things that fall under the baked goods category, see Exhibits A and B), yet it wasn’t until I was preparing this recipe for Hummingbird Bread that I learned about the dessert’s origins. 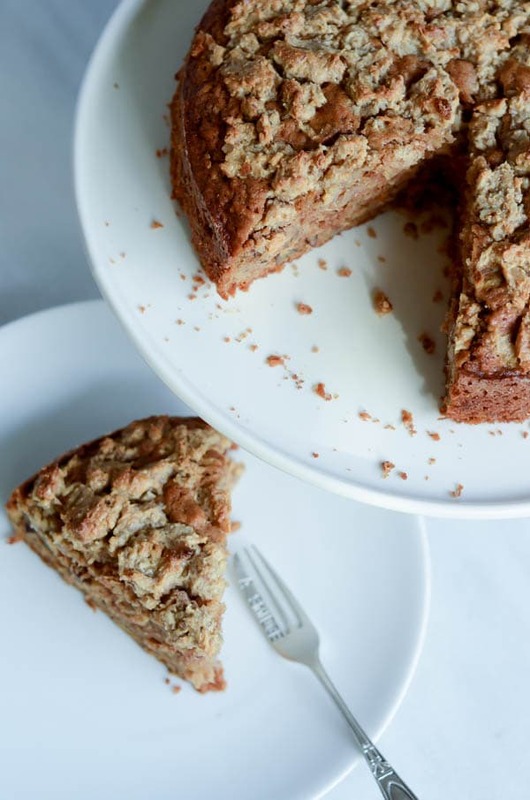 Yes folks, you read that correctly, I’ve simply turned a classic cake into loaf form so it can be reasonably acceptable to ingest as the most important meal of the day –> Breakfast! 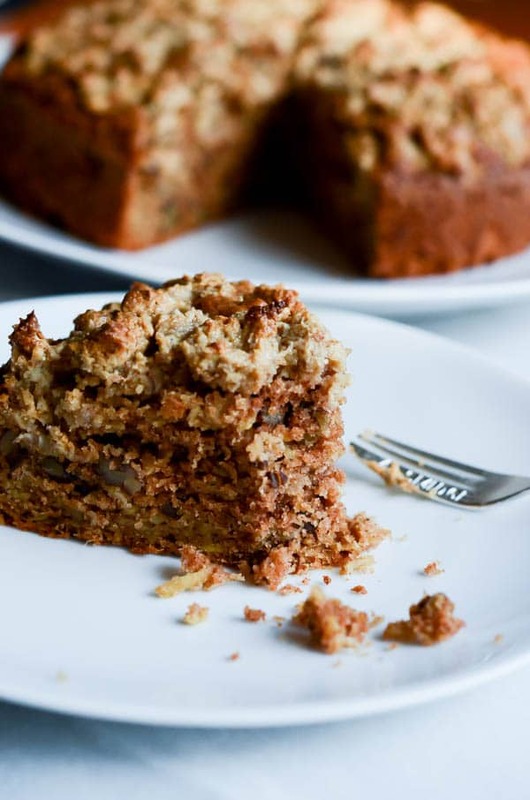 It is believed that this cake originated in the Caribbean (specifically, Jamaica) which seems reasonable since the main ingredients are pineapple, banana and spices! Where else do we find these things in such abundance? The cake actually used to be called a “Doctor bird cake,” named after a type of Jamaican hummingbird called the red-billed Streamertail whose actions of sticking its long beak into the flowers were deemed similar to a doctor inspecting a patient. 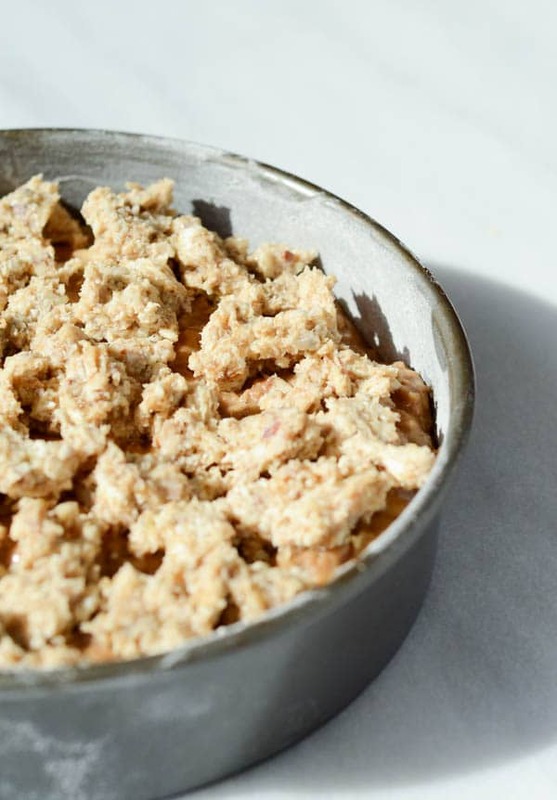 The recipe made its way to the U.S. via press kits that the Jamaican tourist board created to attract visitors to the country. Pretty cool, huh? You know what’s even cooler? 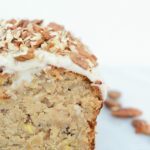 Today I’m showing you how to make Hummingbird BREAD so you don’t even have to wait until dessert to enjoy this fruity, moist, spiced cake with a delicious cream cheese frosting. 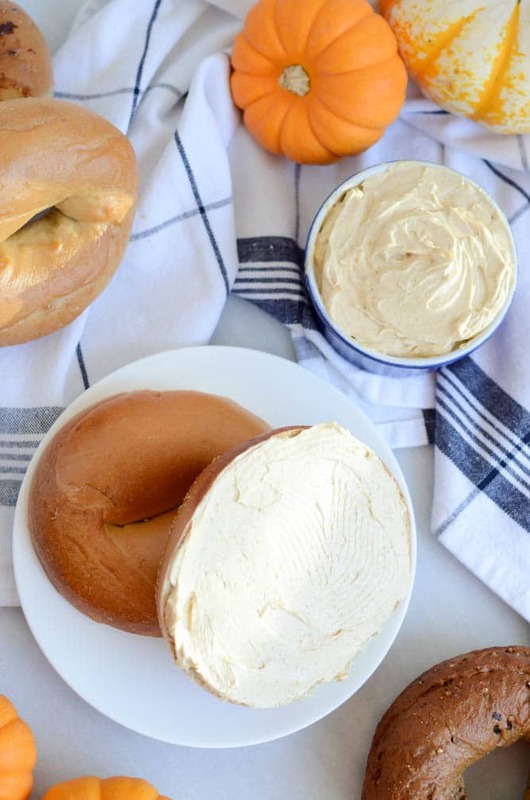 IMHO, something with this much fruit and protein from the nuts and cream cheese should certainly be acceptable to ingest prior to noon with a warm mug of coffee in our hands. I would like to point out, though, that I did not waste ANY of those failed loaves. A quick turn in the refrigerator firmed up the cream cheese swirl loaves enough so that, although not structurally stable, they are definitely, absolutely, completely edible. One down and I’ve got two more loaves to go (falling apart at the seams.) They’re just sitting in the refrigerator waiting for me on the next night I’m up until the wee hours blogging or cleaning because I haven’t ventured out of the kitchen for the past three weekends and have neglected every other part of the house and have my sister coming to visit this weekend. Oh, sorry, just me? Well, if you’d like to come over and help me clean my house, I’d be more than happy to pay you in Hummingbird Bread…and good company? 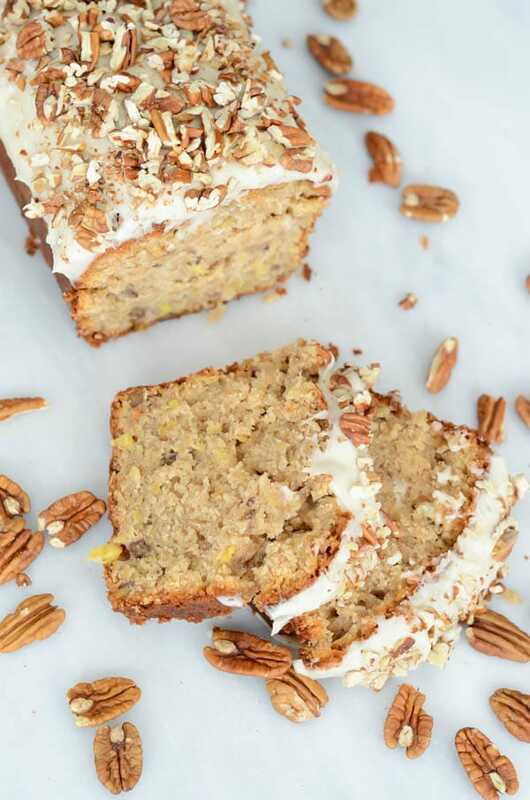 Spinning the classic, Southern cake comprised of pineapple, banana, pecans and spices into a bread that's perfectly acceptable to enjoy for breakfast. Preheat oven to 350 degrees Fahrenheit. Spray a loaf pan with cooking spray, then line with parchment paper. Spray parchment paper with cooking spray. Set aside. 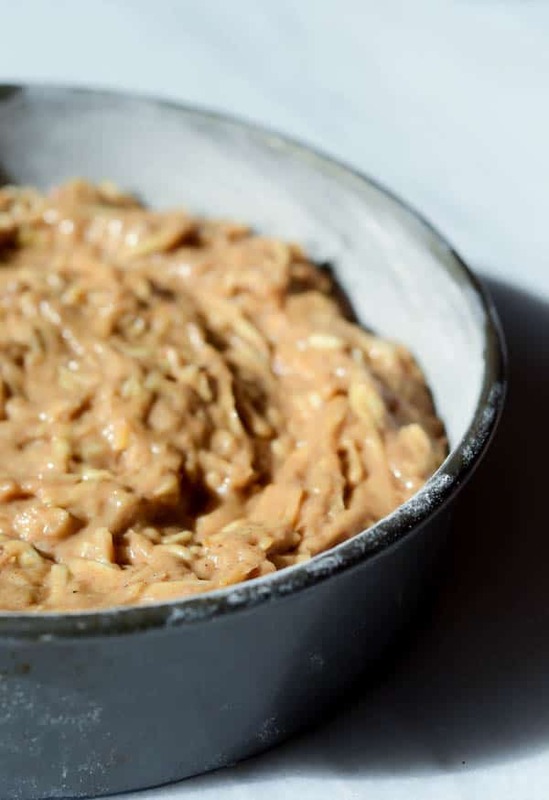 Begin by making the batter. Combine eggs, sugar, canola oil, banana and pineapple in a large bowl. Set aside. In a medium bowl, sift together flour, baking powder, cinnamon, nutmeg and salt. Add dry ingredients to egg mixture and stir until combined. Fold in pecans. Pour batter into loaf pan and place in oven. Bake for 1 hour to 1 hour 20 minutes, or until a toothpick inserted in the center comes out clean. 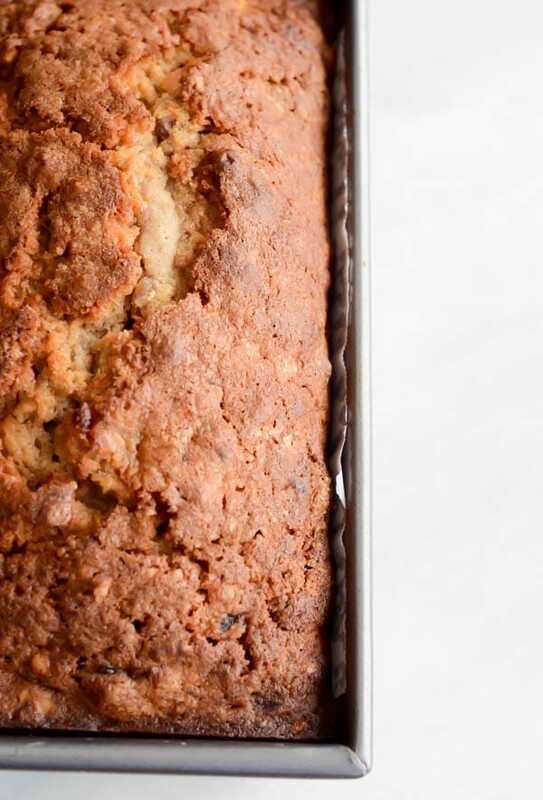 If top begins to brown too much, cover with aluminum foil while the bread finished baking. 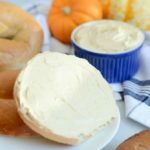 As the bread is getting towards the end of its baking time, make the cream cheese frosting. 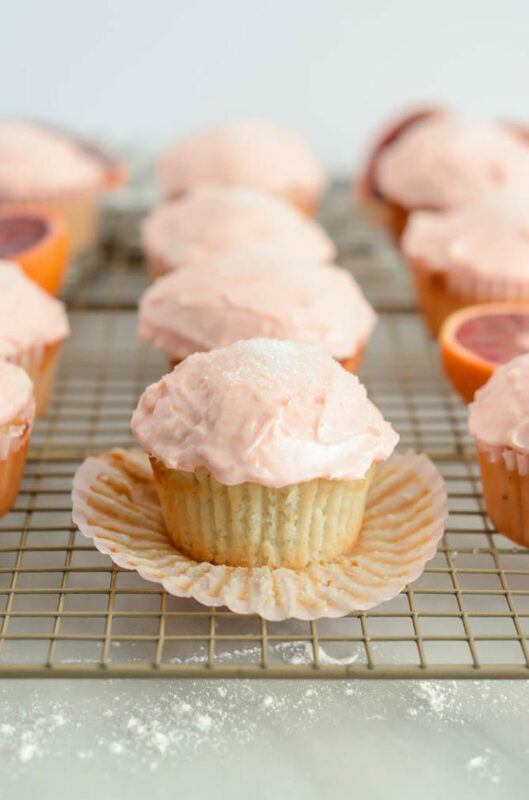 Using an electric mixer, combine all frosting ingredients in a small bowl. Mix until all ingredients are well-incorporated. Set aside until bread is done baking and has cooled most of the way. 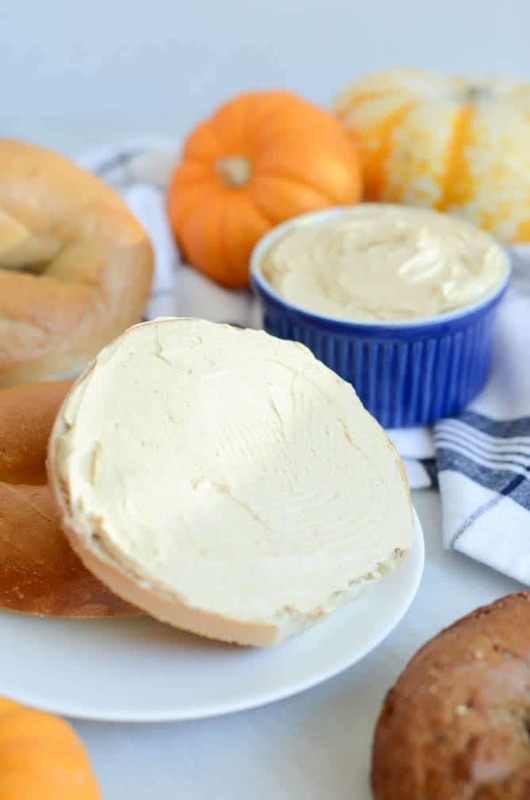 Do not refrigerate, because it will make the frosting too hard to spread onto the bread. Once bread has cooled, remove from pan. 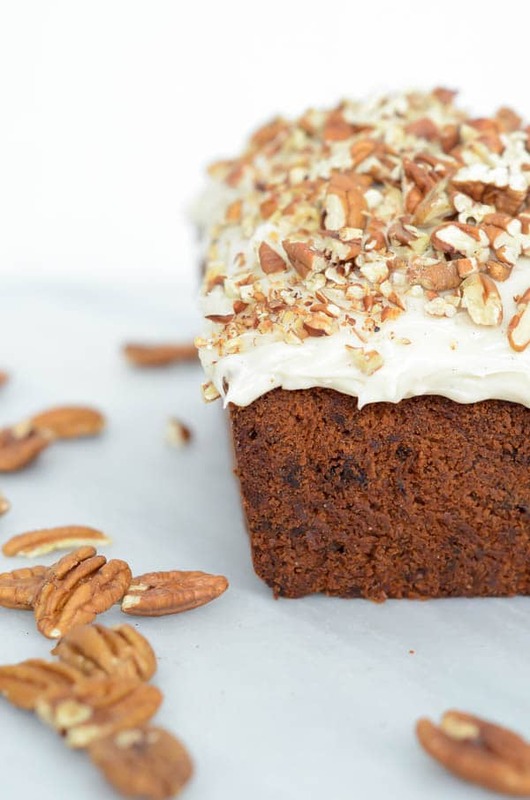 Spread frosting over top and sprinkle with additional ½ cup of toasted pecans and serve. Refrigerate frosted loaf if not eating the whole thing right away. Holdin’ it together like a champ! Who here’s ever baked something using parsnips? No one? Yea, I didn’t think so. As of yesterday I hadn’t either. But I do bet that you’ve made PLENTY of sweets along the lines of carrot cake, carrot muffins, hummingbird cake, etc. Don’t you always just feel so great when you’re able to sneak some vegetables into dessert? It’s quite surprising actually, that parsnips aren’t used more often in these types of things. After all, they are soooo similar to carrots you’d think this would have become more mainstream by now. 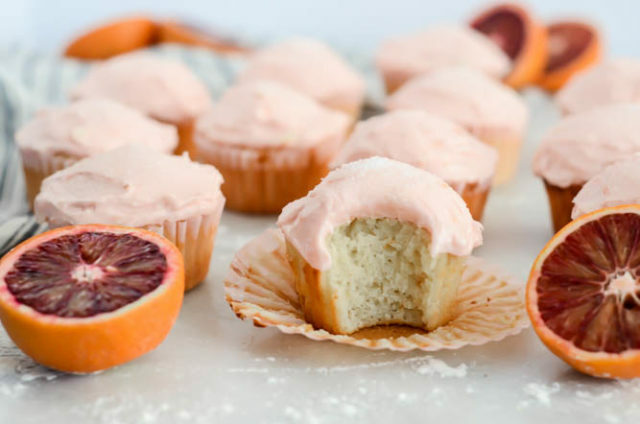 Leave it up to my gal Samantha Seneviratne, author of the blog Love, Cake, to bring this to our attention in her (fairly) new cookbook, The New Sugar & Spice. 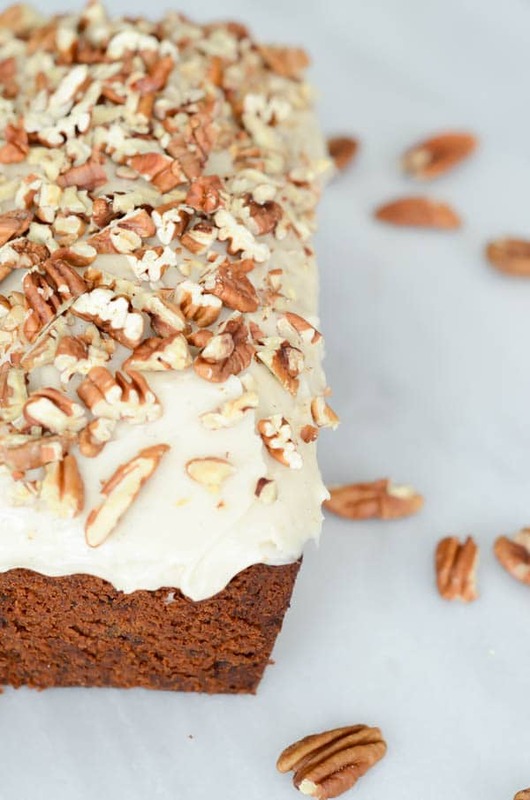 As soon as I came across her recipe for Parsnip Cake with Cream Cheese Frosting, I knew this was something I had to make in some form or another. 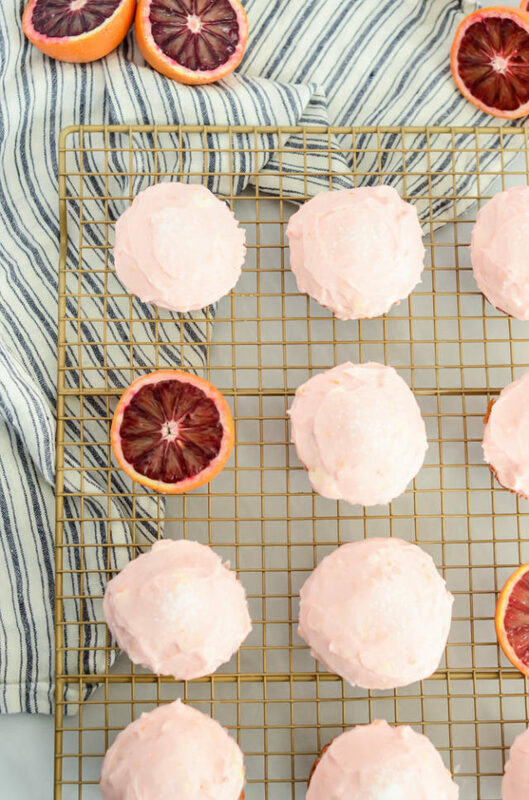 First, and most obvious, is that all of the recipes look just divine. I LOVE the way that the book is broken down into sections by different types of spices. Feel like cooking with ginger? There’s a chapter for that. And although this is a baking cookbook, you’ll find that the recipes aren’t overwhelmingly sweet. 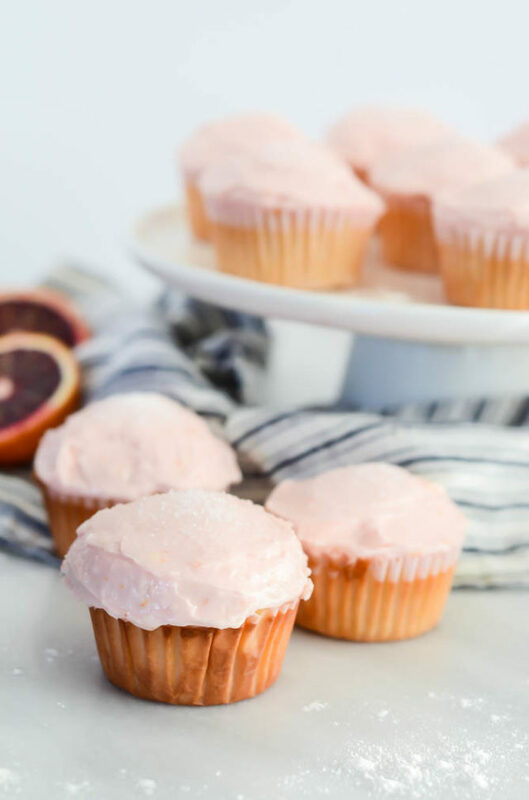 Samantha really has a knack for using spices in her recipes to give them that depth of satisfying flavor, rather than giving you a sugar bomb that will leave you reeling after you indulge. Second, and I’m going to get a little sentimental here, is that Samantha was one of the first bloggers I reached out to when I decided I wanted to seriously pursue “the blog life” (for lack of a better name) who actually took the time to send a heartfelt and helpful email back to me. 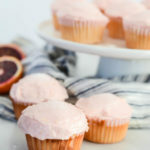 As a new blogger, it can be scary reaching out to the food blog community to make connections and ask for guidance, and I was just blown away by Samantha’s kindness and willingness to give me words of advice. 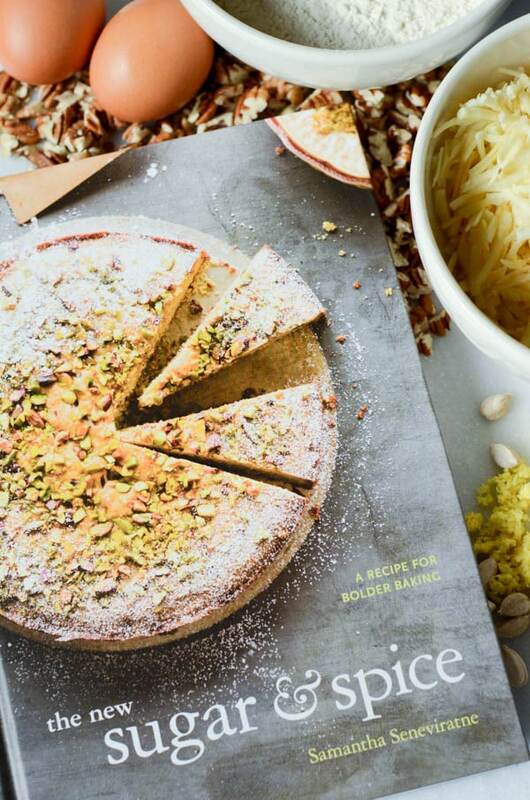 It’s a dream of mine to write my own cookbook someday, and the fact that this woman who had a beautiful blog was also writing a cookbook AND took the time to write to me, well, of course I was going to support her by buying her book! 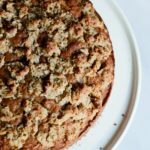 Shortly after I popped this Parsnip Coffee Cake into the oven, the smell of it baking took over the house (I think all of the amazing spices helped this along!) I could not wait to dig in as soon as it was done but, alas, I had to be patient so I could snap some photos. Once I finally did cut into the cake, let’s just say I’m glad there was no one else home because I shoved that slice into my mouth like I hadn’t eaten in days, no time for a fork. It was not a ladylike sight but let me tell you it was so worth it. Do yourself a favor and go buy The New Sugar & Spice ASAP (or you can just order it here through the link!) 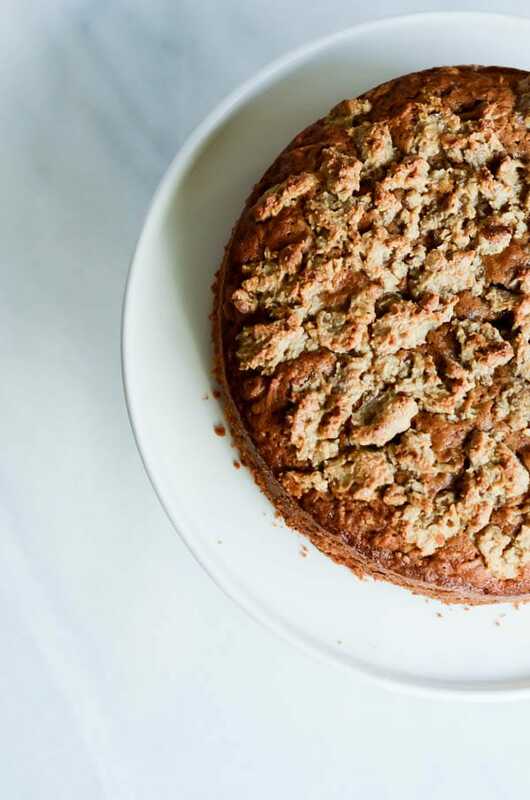 and then make this Parsnip Coffee Cake as if your life depended on it. If you need me, I’ll be devouring what I have left of said cake with multiple cups of coffee in my PJ’s. Isn’t that what Sundays are for? Adapted from The New Sugar & Spice by Samantha Seneviratne. Preheat the oven to 350 degrees Fahrenheit. Butter (or Crisco) and flour an 8-inch round cake pan. 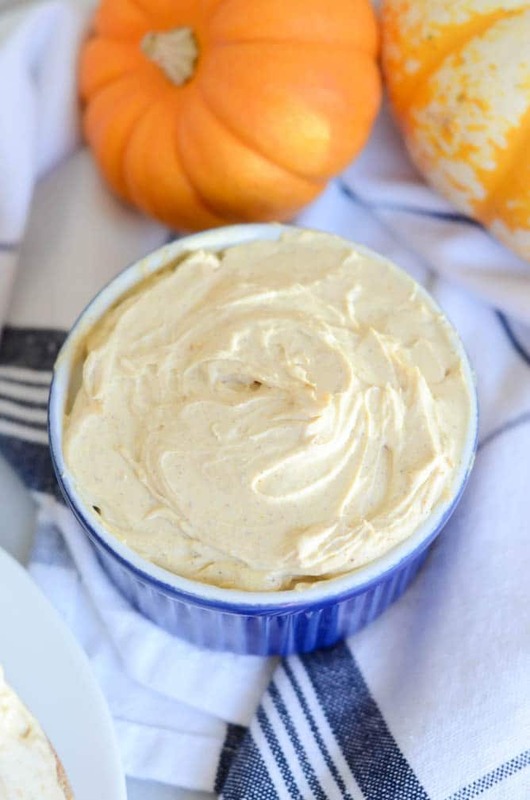 In a medium bowl, whisk together the flour, cinnamon, ground ginger, cardamom, baking powder, salt and baking soda. In a large bowl, stir together the butter, brown sugar and granulated sugar. Add eggs, one at a time, and stir to combine. Stir in the parsnip, fresh ginger, pecans, milk and vanilla. Gently fold the flour mixture into the butter mixture, being careful not to over-mix. Spoon the batter into the prepared pan and set aside. 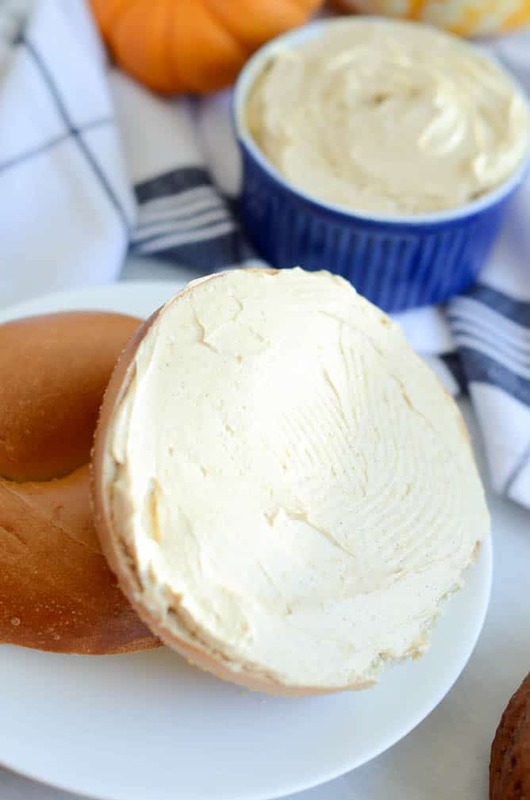 To make the cream cheese crumble, place all of the ingredients in a small bowl. 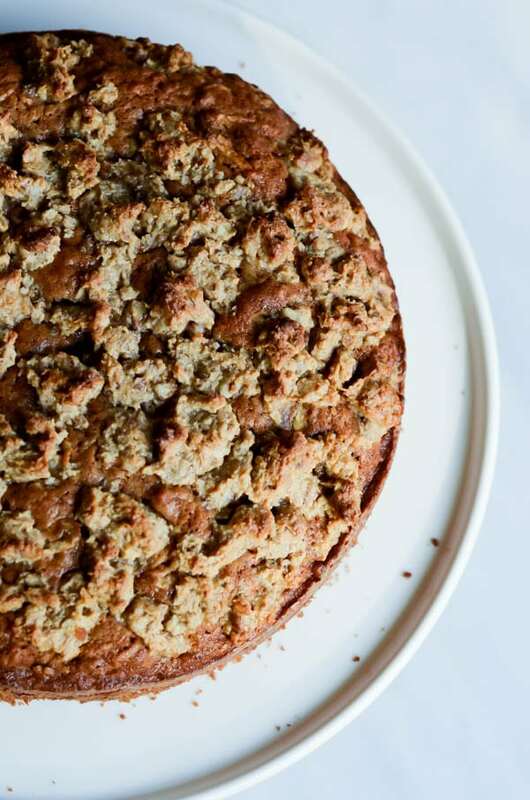 Using a pastry cutter or two knives, cut the cream cheese into the brown sugar, flour and pecans until mixture is crumbly. Sprinkle over top of cake batter in pan. Place cake in the oven and bake at 350 degrees for 45-50 minutes, or until a toothpick inserted in the center comes out clean. Let cake cool in pan on a wire rack for about 15 minutes, then run a knife along the edge and flip cake out of pan to finish cooling on the rack.